creativity is about capturing those moments that make life worth living. Legendary psychologist Mihaly Csikszentmihalyi reveals what leads to these moments—be it the excitement of the artist at the easel or the scientist in the lab—so that this knowledge can be used to enrich people’s lives. 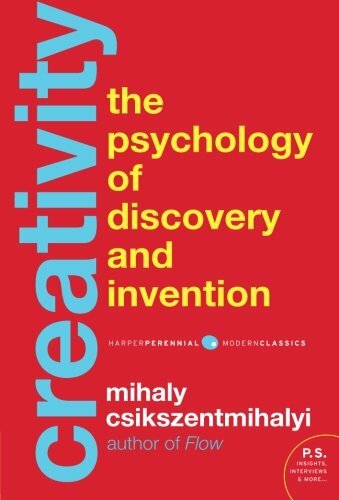 Drawing on nearly one hundred interviews with exceptional people, from biologists and physicists, to politicians and business leaders, to poets and artists, as well as his thirty years of research on the subject, Csikszentmihalyi uses his famous flow theory to explore the creative process. He discusses such ideas as why creative individuals are often seen as selfish and arrogant, and why the “tortured genius” is largely a myth. Most important, he explains why creativity needs to be cultivated and is necessary for the future of our country, if not the world.